1 February 2019: Pirates of Grill situated in Vibhuti Khand, Gomti Nagar has put up a platter of smoking hot sizzlers in front of the residents of Lucknow. A 10-day sizzler festival will be from 1st February to 10th February 2019 with a variety of sensational vegetarian and non-vegetarian sizzlers in the menu. 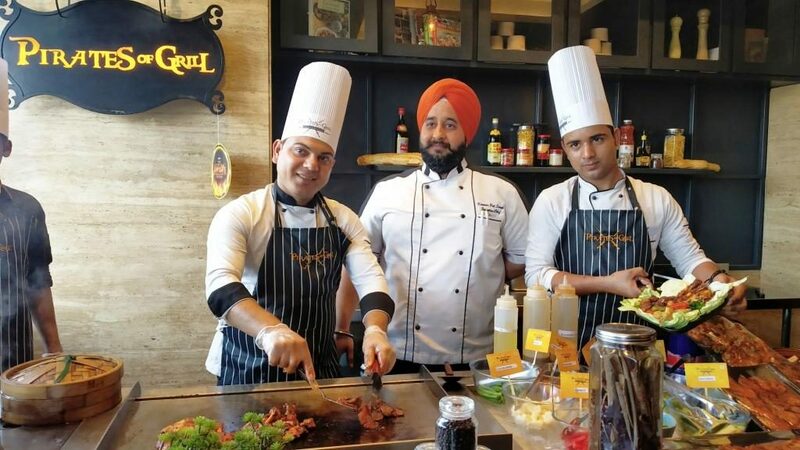 Pirates of Grill started out as an exciting new concept in fine bar-be-que dining, introduced to India by the restaurateur brothers Jasmeet Banga and Restaurateur of the Year 2018, Inderjeet Banga. The festival will take place from 1st February to 10thFebruary 2019. Pirates of Grill started its journey in 2009 with their First outlet in Rajouri Garden in Delhi. Touted as the Best Buffet Restaurants by Many Food lovers and critics, Banga brothers expanded the wing of Pirates of Grill and opened the 10 outlets in different food cities like Gurgaon, Delhi, Noida, Chandigarh, Jammu, Ludhiana, Jalandhar serving 3800 people per day and to open 20 more restaurants by the year-end 2020. The love for food kept on increasing and now Pirates have captured Lucknow with its very first outlet in City of Nawabs to bring the best of Kebabs.